Demonising Disney is nothing new. Disney films have long been synonymous with a certain conservative, patriarchal, heterosexual ideology, occupying a centre-stage position at the heart of the evil empire. Deconstructing Disney takes issue with knee-jerk polarities, overturning classical oppositions and recognising that, just as the Disney ‘text’ has changed, so too must the terms of critical engagement. This book is a sharply focused deconstruction of the political culture - and the cultural politics - of the Disney canon in the years since the emergence of the so-called New World Order. Eleanor Byrne and Martin McQuillan offer a critical encounter with Disney which alternates between readings of individual texts and wider thematic concerns such as race, gender and sexuality, the broader context of American contemporary culture, and the global ambitions and insularity of the last great superpower. The movies discussed include The Little Mermaid, The Lion King, Pocohontas, Snow White, Bedknobs and Broomsticks, Dumbo, Peter Pan, The Jungle Book, Hercules and Mulan. While the essays are a little overly verbose and unapproachable, the subjects they speak to are difficult to find elsewhere. In my personal research of Disney, I have not been able to find a more useful critique of the cinematics and plot of Disney movies. 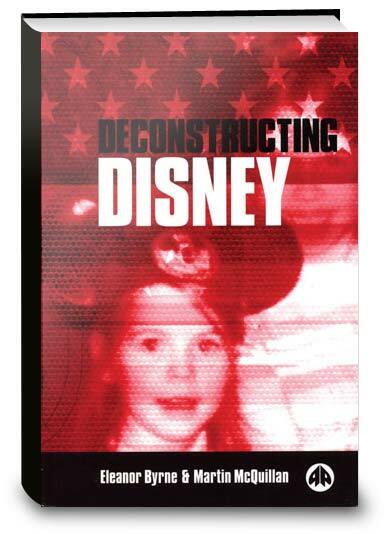 Click the button below to add the Deconstructing Disney to your wish list.